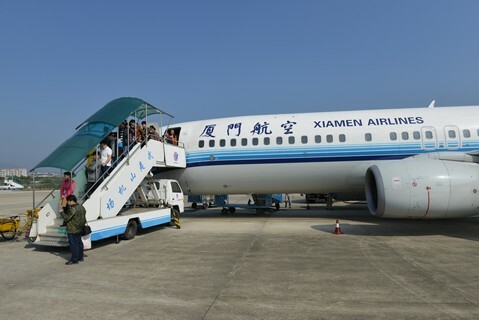 Day 30 – Bye-Bye Xiamen, Beijing here we come! 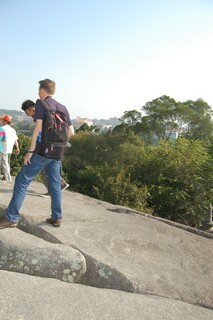 Half of our team left Xiamen today, the other half will leave next day. Today, two of us went home and four of us (Megan, Vani, Michael, me) left for a new challenge: trying to survive a few days in Beijing without interns! We kept our local mobile numbers, thus we can stay in touch with each other and in case of emergency we can try to reach out for help. Tomorrow the rest of the team will also split, some going to Hong Kong and the rest going home. It wasn't easy to leave colleagues and interns behind when leaving to the airport. It took me some time to know them better, but I learned to appreciate each of them over the past weeks. It was great working, living, and making fun together! Time pressure to leave to the airport helped to keep saying goodbye short. I left with Vani and Megan our interns behind at airport security. Time will fly, friendships will weaken, but I remember all of you and hopefully we see each other again somewhere on this smarter planet. I try to stay in touch! Read more about Day 30 – Bye-Bye Xiamen, Beijing here we come! Day 29 – Official closing ceremony, meeting the press, and YES we can! 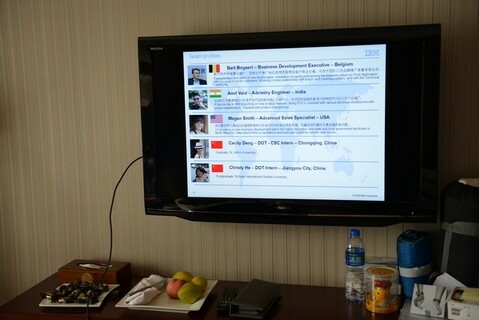 First, IBM donated 30 SmartKids computers to local schools in Fujian, helping young children becoming familiar with information technology. This was a great surprise for the local government. Second, all clients highly appreciated the support we gave them over the past four weeks, and you could sense that they really mean it. Our client Jimmy, General Manager of Lizhou group, was very enthusiastic and passionate in his closing speech and his discussion with the press. Our team was very pleased with his drive, highly appreciated Jimmy! Third and most important from my point of view is that each of our clients could not believe we have never worked together before as a team. 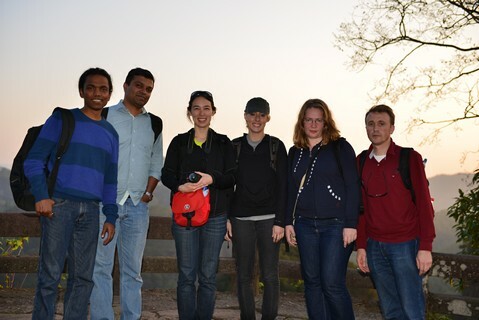 All twelve of us come from different countries, different parts of our organization, and have different job roles. Indeed, we never worked together before; we even didn’t know each other. Twelve individuals flown into the same city and working on common projects. It took literally a few hours to work together as a team. It actually proofed that we share a common believe, value, passion, and drive within the company. I worked with many colleagues before throughout Europe and Northern America, but this project was even for me big experience, it made me understand the value of our corporate culture. Read more about Day 29 – Official closing ceremony, meeting the press, and YES we can! Day 28 – Hey Bart, why don’t we see you? Today debriefing day! This means meeting with the entire team to consolidate the lessons learned, complete evaluation forms, discuss all the good things, and prepare for tomorrow’s final closing session. A lot of paperwork to do, but all done! Late afternoon shopping with Megan, literally till we dropped, we just could make it back to the hotel. So, no great news about what we have been doing today. I received from time to time feedback on my blog, thank those who did! Appreciated! It keeps me writing. One of the remarks that came along was the fact that I posted almost no photos about myself: Where are you Bart? Being the one in the team who probably makes most photos is probably the cause, as I’m on the other side of the camera. Today I collected some photos from colleagues. As you asked for … here you go! Read more about Day 28 – Hey Bart, why don’t we see you? Day 27 – Mission completed: final recommendation to our second client done! We worked quite long last night, but with a bit of help from room service we did it! 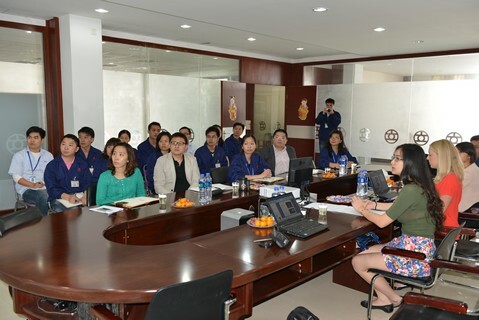 In the morning our entire team had a roundtable with IBM’s VP in charge of Corporate Responsibility in Greater China to exchange our experience from the past four weeks. Meanwhile Cecily and Christy completed the translation of the final presentation. For lunch we grabbed a quick sandwich and thereafter the driver took us to our second client. Our final recommendations were twofold: first a recommendation in building a dealer relationship management and a second recommendation in human resource management. Again, I am very pleased with the result given the limited time we had to complete this project. The result we have been beyond my expectations! The presentation itself was prefect in timing and during the break we could even run to the Starbucks nearby for coffee. Mission completed with success! Again a short blog, we still need to complete a bunch of paperwork to complete the program. Read more about Day 27 – Mission completed: final recommendation to our second client done! 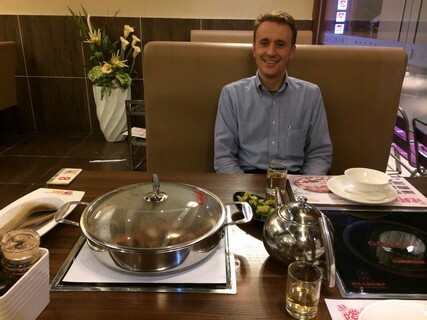 Day 26 – Final recommendation to our first client Lizhou Group done! I was still feeling very perplexed about what happened yesterday. In the morning we did the final polishing of the presentation which include our threefold recommendation in sales and marketing organization, human resource management, and supplier relationship management. I took a while to get his completed, but I am very pleased with the result. Given the limited time we had was the result beyond my expectations, thanks Megan and Amit! On top, the interns did a great job in translating! In the afternoon we were picked up by the driver going to the client. The full staff was present! The presentation itself was great teamwork: prefect timing, alternating speaking between Megan, Amit and myself, and alternating interpretation by our interns. Mission completed with success! Thank you Lizhou, it was great working with you and a wonderful experience! Sorry, no time for a long blog, it’s 02:20 AM and just completed our final recommendations for our second client by tomorrow (actually for today already)! 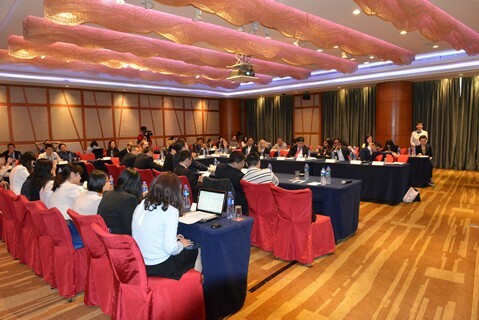 Read more about Day 26 – Final recommendation to our first client Lizhou Group done! Day 25 – Yeah got my Tibet Travel Permit! I was going to write about a total different topic today. Last night we came back a bit later then expected and we still had a hell lot of work to do today. I almost thought about skipping a day in my blog. But today’s day had a great unexpected end! This morning I was desperate getting a great coffee. A few text messages later Megan and I went to Starbucks to get two Grande Americano. Our team worked the entire day on tomorrow’s final presentation with our recommendations for Lizhou Group. It took us far more time then expected, but we did it! Late afternoon we had it all together, Megan and I started cleansing the presentation. We kept postponing dinner, as we wanted to finish the presentation and give it to our interns for translation this evening. Shortly after 20:00 I got an unexpected text message from my agent in Lhasa: ‘I got ur permit’. 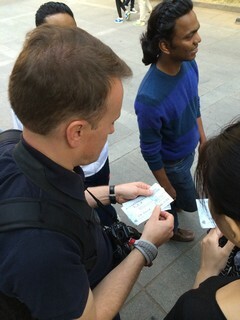 We worked the entire day so hard, that I totally forgot about my pending Tibet Travel Permit application. At the first moment I couldn’t believe it. Until a few minutes later a mail with a scanned copy rolled into my mailbox. I still couldn’t believe it! After all those calls during last week to get the documents last minute translated in Chinese, signed, stamped, and delivered in Lhasa before due date. The whole paperwork and changes in the application process made me so nervous the past days that I had a very bad feeling, this was going to ruin a dream of visiting the roof of the world. A minor detail would have been enough to refuse the permit, in particular given the strict rules for foreigners. Despite all positive encouragements from my direct colleagues here and from home, I lost most of my hope. That simple text message and one mail changed my day! I was so excited and happy; I dropped immediately a message to home and shared my happiness with Megan whilst working! Yeah, I’ll go go go ! ! ! We went for dinner and around 23:00 we discussed with Christy and Cecily on the remaining translation work to done before tomorrow. I have the feeling this is going to be a long night for them. 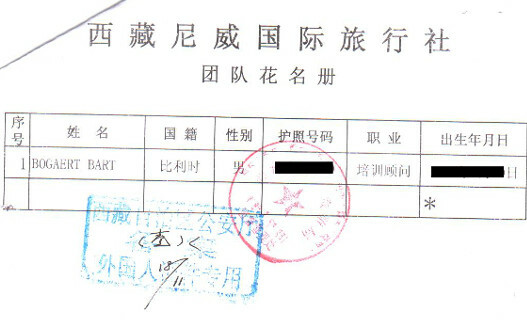 The permit will be delivered by courier to my hotel in Xi’an, where I will arrive on Nov 26th. Let’s hope Everest Base Camp re-opens by then. Anyway, I feel much better now! But still can’t believe it! Read more about Day 25 – Yeah got my Tibet Travel Permit! 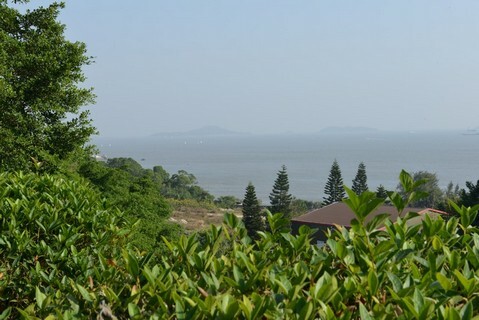 I had two remaining sites in mind that I wanted to see in Xiamen. I recovered a bit from yesterday during a lazy morning and took a taxi in the afternoon. 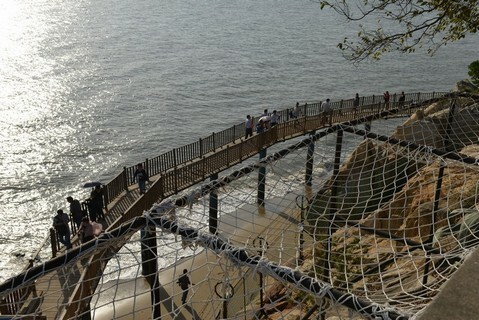 The first ride took me to a viewpoint along the shoreline. I walked all away to the top for a nice view over the park and the shoreline. Thereafter, I descended along the cliffs until I reached the beach. 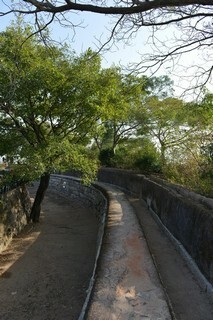 The pathway was a bit weird, full of missing wood planking, and full of people who didn’t care about it. I walked a while along the beach and then took another taxi. The second ride took me to an old Chinese ghetto. I entered the ghetto, and tried to keep a south-west heading. The streets were getting quite narrow, with no vehicles. But every few streets I hit a closed gate. After more then an hour of trying to get out I changed my strategy. I walked back in the opposite direction for a while and then changed my heading to north-west. The streets were dirty and smelly. I kept my camera away in my bag. I also kept my sunglasses on, to make sure people don’t see which way I am looking or to show them my anxiety. Having two cell phones in my pocket helped to keep calm. Actually the area was probably very safe; it was just quite unusual for me to walk around in this kind of environment. I have seen dirtier areas than this one, but here the language remains a barrier in case you need help. A police agent on an electric bike passed a few times by and was a bit confused seeing a foreigner walking around. I kept walking at a reasonable high pace, hoping to hit larger streets where taxis would be available. After another 30 minutes the streets were getting wider and more vehicles were around. It took a while till I spotted the first taxi, but a few corners further I could halt a taxi which was available. Another ride, this tome straight back to the hotel, ready to jump under a hot shower! Then, all set for the team dinner and evening event. Day 23 - Going to see those Wuyishan Mountains and the Nine Twist River! Waking up at 05:15, a quick shower! I lost already some weight over the past weeks, therefore I opened my first package of powder containing all required nutrition for the full day. I dissolved it into a glass of water, drunk it, and rushed down to the lobby. At 05:50 we took taxis to the airport. Everything went smooth till we arrived at the gate. 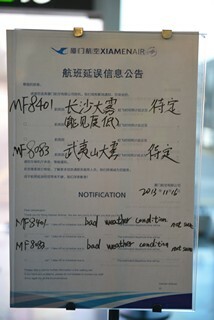 Our flight got delayed due to mist at Wuyi airport. We arrived later then planned, but who cares we got there and going to maximize the time being there. Getting tickets was a hurdle; luckily our interpreter Christy helped us out over the phone. We first went for the bamboo raft on the Nine Twist River. Thereafter we climbed to the Heaven peak, a very steep staircase, with amazing views. High above the valley we rested at the tea house with the local traditional made tea. Going down was painful (as usual), but worth the experience. We left the park at moonlight. Upon return to the airport we walked through the Wuyi village, where the tea festival started to celebrate the arrival of the new tea harvest. Our flight back was also delayed, we were back in the hotel at 00:15! Most people might consider it crazy to take a plane in the morning to see a river and a mountain, and take a plane back in the evening. But from my point of view it was a great experience, well worth spending such a long day. Thank you team members for joining this great day! So much more to tell about today, but this would be borrowing. Enjoy watching the photos. Read more about Day 23 - Going to see those Wuyishan Mountains and the Nine Twist River! Day 22 - What a day! Read more about Day 22 - What a day! Day 21 – Time to let you know our winning team! Day 21, can’t believe being away from home since three weeks. 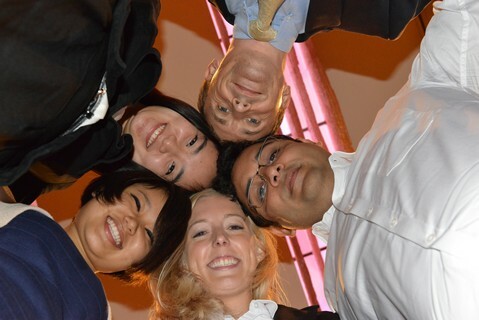 We are living and working with colleagues and interns as a small community. We are 12, coming from IBM all over the globe, permanently assisted by 7 interns for interpretation and translation and one local DOT coordinator. 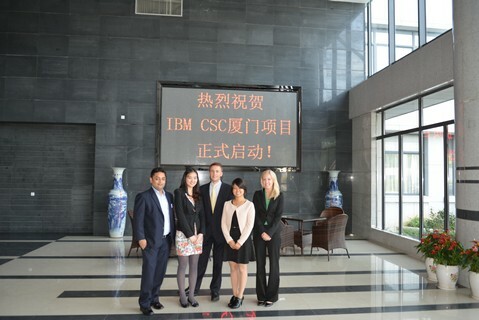 Furthermore we are continuously assisted by IBM staff out of the offices in Xiamen, Beijing and Armonk (US) whom take care of communication with press, solving practical issues, and taking care about our security. Read more about Day 21 – Time to let you know our winning team!